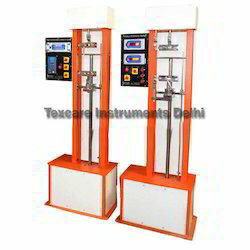 Our product range includes a wide range of double load cell tensile testing machine, digital tensile strength tester, digital tensile testing machine, tensile strength tester, fabric tensile strength tester and computer hydraulic tensile testing machine. 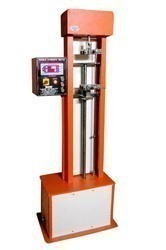 We are offering Digital Tensile Strength Tester to our client. We are recognized as successful manufacturers and suppliers of Digital Tensile Testing Machine. 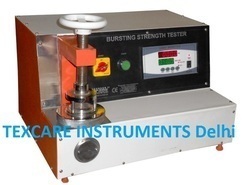 We are offering Tensile Strength Tester For Rubber And Plastic that is used for determining the breaking force of any fabric, rubber sheet and wire rope, HDPE Bag, cable, polymers, etc. 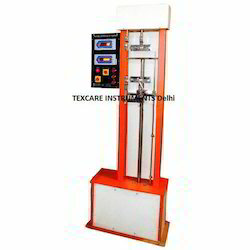 Our company has earned great laurels as manufacturers and suppliers of Fabric Tensile Strength Tester. As an ace manufacturer and supplier of Computer Hydraulic Tensile Testing Machine, we have marked our name very strongly in the market. Digital Display Micro Processor based High-Precision Control Computer control type Users can easy to operate handle Overload Protection Function Computer Servo control Tensile Strength Tester High Temperature Tensile Strength Tester Suitable for metal and nonmetal material Supplier of different type of tensile strength tester Touchscreen tensile tester tensile strength tester High Quality Single Column Tensile Strength Tester Various test grips for steel, wire, pipe, plastic, ceramic, wood, etc. 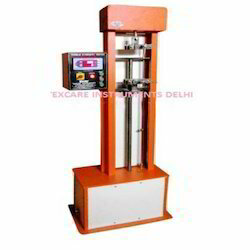 Ours is an acknowledged name involved in providing highly efficient Digital Tensile Testing Machine, which is used for determining the tensile strength and elongation of various products like rubber, fabric, wire, elastomers, cable, paper & packaging, etc. 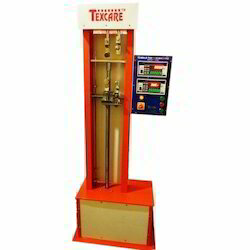 Digital Tensile Strength Tester is known for providing quality testing and widely used in research institutions, universities, and colleges, industrial and mining enterprises, etc. 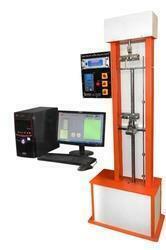 Our Digital Tensile Strength Tester is based on the Constant Rate of Traverse (CRT) principle. The sample is held between the two jaws of the Digital Tensile Strength Tester in which the upper jaw remains stationary and the other is made to move at a known fixed speed with the help of a motor, gearbox and leadscrew arrangement (100mm or 300mm per minute). We are offering Plastic Tensile Strength Tester to our client. We are Mechanical Tensile Testing Machine offering to our client. We are Manual Tensile Testing Machine offering to our client. We offering BS Testing Machine to our client.